Hi-Fi Expo Sofia – the biggest show in the Balkans | What Hi-Fi? For readers in the Balkans, the biggest hi-fi show of the year is almost here: Hi-Fi Expo Sofia 2012 will run at the Grand Hotel Sofia, in the Bulgarian capital, on November 23-25, with over 200 brands already planned to exhibit. Among the attractions at the show will be the massive McIntosh reference system above, while other rooms will feature everything from valves and vinyl systems to complete home cinema set-ups. There'll also be the opportunity for showgoers to browse and buy vinyl both old and new, and complete their systems with vital accessories, headphones and the like. 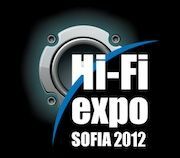 The organisers say Hi-Fi Expo Sofia 2012, which is open daily from 10am to 8pm. is organised along the lines of Milan Top Audio show, with a combination of exhibition space and listening rooms, and visitors can enter a draw to win a two-night stay in a luxury spa hotel in the Bansko ski resort, complete with a loan of a new Volvo V40 for the duration.